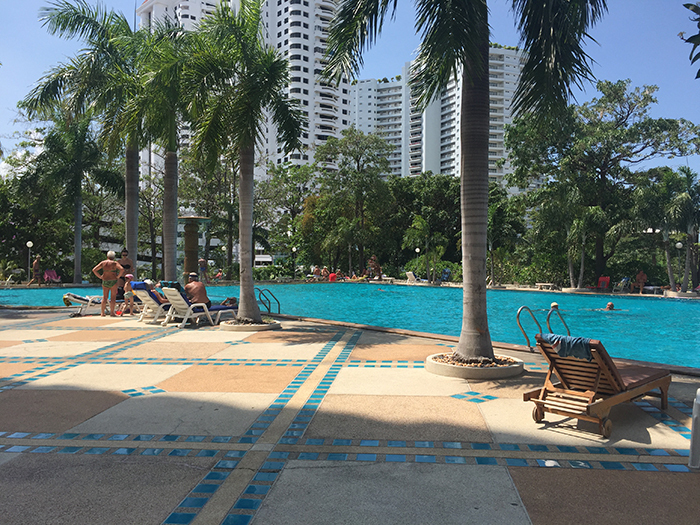 View Talay 5 Condominium Complex stands 22 floors tall, ocean front with private access to the popular Dongtan beach. 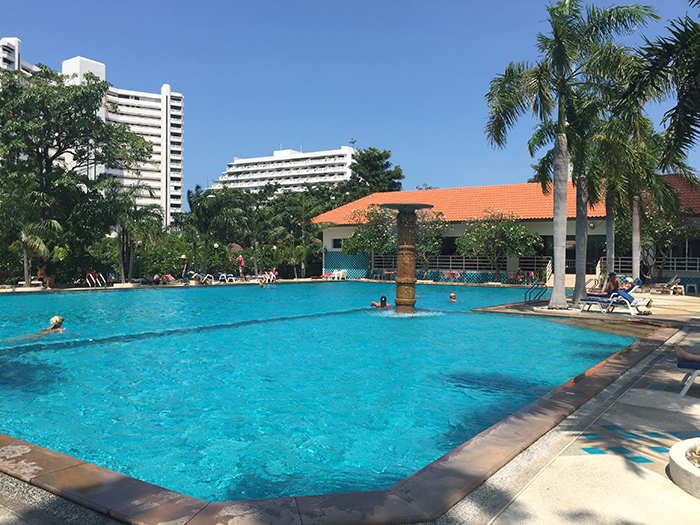 Top beach front location approximately 100 meters to the popular Dongtan beach in Jomtien Pattaya Thailand. The road front is between Pattaya and Jomtien close to Jomtien complex with the main baht bus route between Pattaya and Jomtien. No motor vehicles are allowed between 10 am and 5 pm on the small road between View Talay and Dongtan beach which makes this one of the quietest beaches in Jomtien Pattaya. Address: Moo 12, Tappraya Rd. Nongprue, Banglamung Chonburi 20150 Thailand, Pattaya City, Chon Buri 20150. Click here for a Google location Map of View Talay 5 Condominiums. Opens in a new window. 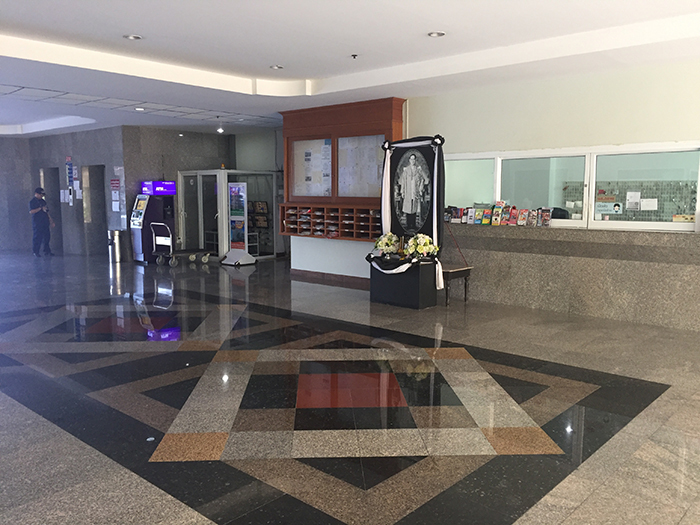 Fantastic facilities include very large communal swimming pool with restaurant, internet cafe, spa, massage parlor, 24 hour security, key card access, mini marts, beauty salon, laundry services, bar and just about anything else you need for your short and/or long term stay. Features: Kitchen fully fitted out, air con & ceiling fan, LCD flat screen TV, fully furnished, large balcony with sea view. Rent: 14,000 - 21,000 Baht. Depending on season and length of stay. Features: Kitchen fully fitted out, air con & ceiling fan, TV & DVD, fully furnished with wooden built in furniture, and sea view. 48 sq. Rent: 14,000 - 23,000 Baht. Depending on season and length of stay. Features: kitchen fully fitted out, air con & ceiling fan, TV & DVD, fully furnished, 48 m2 studio with large balcony & sea view. Rent: 15,000 - 23,000 Baht. Depending on season and length of stay. Features: kitchen fully fitted out, air con & ceiling fan, LCD flat screen TV, fully furnished, 48 m2 studio with large balcony and sea view. Rent: 18,000 - 27,000 Baht. Depending on season and length of stay. Features: kitchen fully fitted out, air con & ceiling fan, LCD flat screen TV, fully furnished, 2 cosy leather chairs, large balcony with sea view. Foreign name. Rent: 14-22,000 Baht depending on season & length of stay. Features: kitchen fully fitted out, air con & ceiling fan, LCD flat screen TV, fully furnished, 2 single beds, 48 m2 studio with large balcony and sea view. 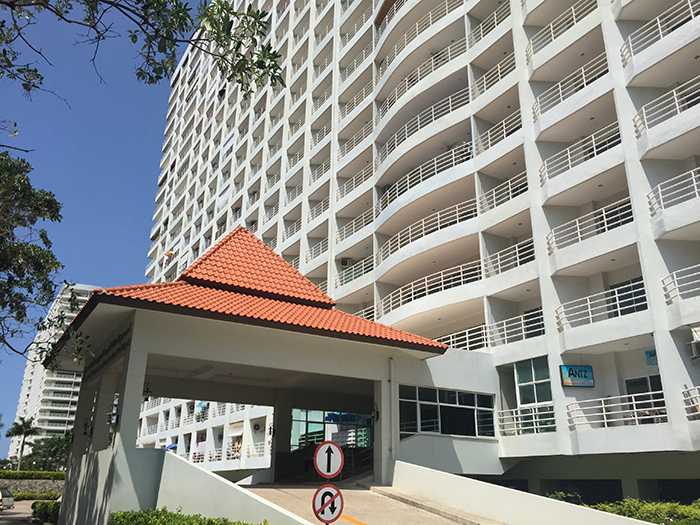 Features: kitchen fully fitted out, air con & ceiling fan, LCD flat screen TV, fully furnished, 48 m2 studio with large balcony & sea view & view of Pattaya water park.